Do you have any plans for this summer? We have some great alternatives for you to enjoy an unforgettable summer. Dive in the tropics and bring back some incredible memories. Here are 4 of the top 10 dive destinations in the world! A UNESCO World Heritage site since 1991, Komodo has one of the richest reefs in the world thanks to its privileged position. Located in the heart of the Coral Triangle, 2 major currents converge here. To the North, the warm waters of the Pacific Ocean; and to the South, the cold waters of the Indian Ocean attract a large number of pelagics looking for food: mantas, sharks, turtles, Napoleon wrasses, as well as incredible macro – pygmy seahorses, nudibranchs, frogfish, porcelain crabs, coral shrimps. Its volcanic sands also have great muck diving. The Visayas, known as the mecca of diving in the Philippines, offer a wide variety of macro life that will keep you so busy looking for the most incredible sea critters that you won’t notice the time pass under the water! Tiny sea critters hidden in amazing coral reefs such as nudibranch, sea horses or ghost pipefish, but also hidden in the black sands are frogfish, blue ringed and mimic octopus! Not everything is about tiny critters! In the Visayas, you will also have the opportunity to dive with big schools of barracudas, trevallies and sardines being hunted by Thresher sharks! As well as snorkel with the majestic whale shark! Recently awarded by Scuba Diving magazine readers as one of the best wall diving, best marine environment, best cave diving, best big animal, best overall diving and destination, and best underwater photography in the world, it is not surprising that Palau is on every diver’s bucket list! Under Palau’s pristine waters there are 340 mushroom shaped islands and more than 700 coral and 1300 fish species! In Palau, you will experience some of the most incredible close encounters you have ever had! Sharks, mantas, Napoleon wrasses, Bumphead Parrotfish, school of barracudas and jacks! As well as drift dives, cave dives and snorkeling with thousands of non-sticky jellyfish! Known as the Soft Coral Capital of the World, in Fiji you will experience some of the most colorful dives of your life! Red, yellow, orange, blue, green, pink, purple … hiding amazing macro life! Nudibranchs, pigmy sea horses or ghost pipefish! Summer time is known to be the best time to dive Fiji. You will experience cold water which brings a bigger amount of sharks and mantas! One of the most incredible encounters you will experience in Fiji will be the Hammerhead shark! Experience these incredible destinations on board the Siren Fleet. 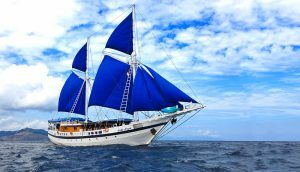 “Built by divers for divers”, the Siren Fleet offers affordable luxury liveaboards in Indonesia, Philippines, Palau and Fiji all year round with a variety of itineraries from 6-14 nights. All this surrounded by their professional, experienced and friendly crew. All vessels feature a/c cabins with en-suite facilities and plenty of space for you to relax and enjoy your time onboard. Each yacht has a dedicated camera set-up and charging station with plenty of additional storage for all your extra lenses, strobes and batteries. It is thoughtful touches such as these that make Siren Fleet the best choice for both professional and amateur photographers. The Siren Fleet offers 4 Guided Dives/Day in small groups, free essential scuba equipment rental and free Nitrox. Dive Fiji, Palau, Philippines or Indonesia with the Siren Fleet from May to September and receive a 10% discount on all destinations! Have you already been onboard the Siren Fleet? Quote Summer of Sirens when you contact us and receive something extra special! The post Press Release – The Summer of Sirens appeared first on Scuba Diver Life.